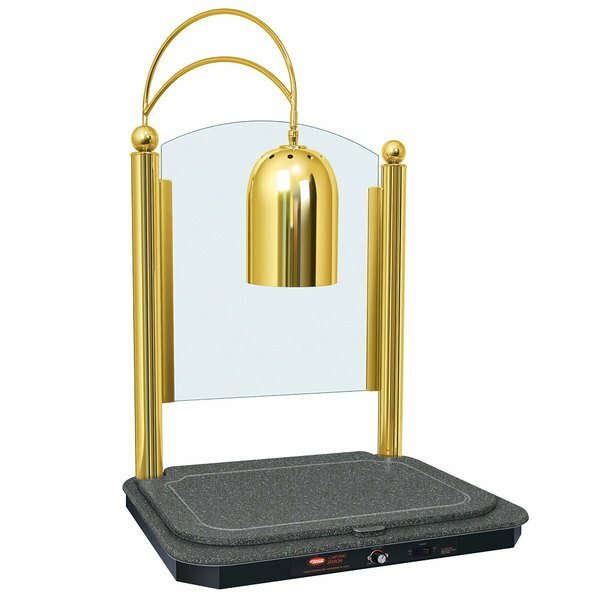 Slice tender cuts of your most popular foods right before your customers' eyes with the Hatco DCSB400-2420-1 bright brass decorative carving station! 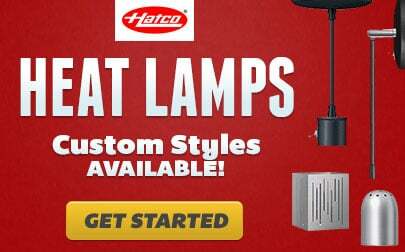 This carving station features 750 watts of heating power to keep your food at safe temperatures without drying it out. Its free-standing structure makes it ideal for almost any buffet area, while the adjustable post can be set between 34" and 46" at any time. The night sky-colored, heated base ensures your food is evenly heated at all times, and a juice groove around the outside edge helps prevent unsightly messes on your tablecloth. A built-in sneeze guard protects your food from airborne contaminants, and thanks to its fine coloring, you can be sure this station will catch the eye of your customers at all times. Height: Adjustable from 34" to 46"